People are often telling me that I ought to read Frank Kogan’s work, but I’ve never got around it. (Partly that’s because, Greil Marcus apart, I’ve never really tuned into much American pop criticism at all, which in my no doubt far too hasty judgement has seemed to be bogged down in a hyper-stylized faux-naif gonzoid mode that has never really appealed to me.) The – again, perhaps unfair – impression I have is that, in Britain, the battles that Kogan keeps on fighting were won, long ago, by working class autodidact intellectuals. No doubt the two recent pieces by Kogan that Simon has linked to are grotesquely unrepresentative of his work as a whole (I certainly hope so, since it is difficult to see why so many intelligent people would take his work seriously if they weren’t), but it’s hard not to read them as symptomatic, not only of an impasse and a malaise within what I now hesitate to call ‘Popism’, but of a far more pervasive, deeply-entrenched cultural conservatism in which so-called Popism is intrinsically implicated. Remember, in the immediate wake of 9/11, all those po-faced Adornoite proclamations that there would be ‘no more triviality’ in American popular culture after the Twin Towers fell? There can be few who, even when the remains of the Twin Towers were smouldering, really believed that US pop culture would enter a new thoughtful, solemn and serious phase after September 11th – and it’s surely superfluous to remember, at this point, that what ensued was a newly vicious cynicism soft-focused by a piety that only a wounded Leviathan assuming the role of aggrieved victim can muster – but would anyone, then, have believed that, only six years later, a supposedly serious critic would write a piece called ‘Paris [Hilton] is our Vietnam’ … especially, when, in those years, there has, like, been another Vietnam. What we are dealing with in a phrase like ‘Paris is our Vietnam’ is not trivia - this isn’t the collective narcissism of a leisure class ignorant of geopolitics - but a self-conscious trivialization, an act of passive nihilistic transvaluation. Debating the merits or otherwise of a boring heiress have been elevated to the status of a political struggle; and not even by preening aesthetes in some Wildean/ Warholian celebration of superficiality, but by middle-aged men in sweat pants, sitting on the spectator’s armchair at the end of History and dissolutely flicking through the channels. At least the ‘Paris is Vietnam’ piece laid bare the resentment of resentment that I have previously argued is the real libidinal motor of ‘popism’ – ‘we love Paris all the more because others hate her (but luckily we loved her any way, honest! )’ But this latest piece Simon has linked to is, if anything, even more oddly pointless and indicative . 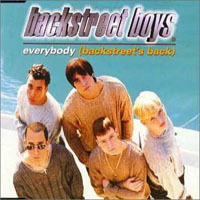 Unlike the pleasantly mediocre Paris Hilton LP, the ostensible object of the piece, Backstreet Boys’ single ‘Everybody (Backstreet’s Back)’ is actually rather good. Practically everyone I know liked it. The problem is the idea that saying this is in some way news in 2007. No word of a lie, I had to check the date on that post, assuming, at first, that it must have been written a decade ago. The once-challenging claim that for certain listeners, the (likes of) Backstreet Boys could have been as potent as (the likes of) Nirvana has been passive-nihilistically reversed – now, the message disseminated by the wider culture - if not necessarily by the popists themselves - is that nothing was ever better than the Backstreet Boys. The old high culture disdain for pop cultural objects is retained; what is destroyed is the notion that there is anything more valuable than those objects. If pop is no more than a question of hedonic stim, then so are Shakespeare and Dostoyevsky. Reading Milton, or listening to Joy Division, have been re-branded as just another consumer choice, of no more significance than which brand of sweets you happen to like. Part of the reason that I find the term ‘Popism’ unhelpful now is that implies some connection between what I would prefer to call Deflationary Hedonic Relativism and what Morley and Penman were doing in the early 80s. But their project was the exact inverse of this: their claim was that, as much sophistication, intelligence and affect could be found in the Pop song as anywhere else. Importantly, the music, and the popular culture of the time, made the argument for them. The evaluation was not some fits-all-eras a priori position, but an intervention at a particular time designed to have certain effects. Morley and Penman were still critics, who expected to influence production, not consumer guides marking commodities out of five stars, or executives spending their spare time ranking every song with the word ‘sugar’ in it on live journal communities that are the cyberspace equivalent of public school dorms. Whereas Morley and Penman (self-taught working class intellectuals both) complicated the relationship between theory and popular culture with writing that – in its formal properties, its style and its erudition, as well as in its content - contested commonsense, Deflationary Hedonic Relativism merely ratifies the empiricist dogmas that underpin consumerism. More than that. Owen has astutely observed that, in addition to reiterating the standard Anglo-American bluff dismissal of metaphysics, the Deflationary Hedonistic Relativist disclaiming of theory (‘we just like what we like, we don’t have a theory’) uncannily echoes the dreary mantras of the average NME Indie band: ‘we just do what we do, anything else is a bonus’, ‘the music is the only important thing’. In the UK, the rhetorical fight between ‘Popists’ and Indie is as much a phony war as the parliamentary political punch and judy show between Cameron’s Tories and Brown’s New Labour: a storm in a ruling class tea-cup. In both cases, the social reality is that of ex-public schoolkids carrying on their inter-House rivalries by other means. In the case of both Indie and Popism, there is a strangely inverted relationship to populism and the popular. While the ‘Popists’ claim to be populist but actually support music that is increasingly marginal in terms of sales figures, the Indie types claim to celebrate an alternative while their preferred music of choice (Trad skiffle) has Full Spectrum Dominance (you can’t listen to Radio 2 for fifteen minutes without hearing a Kaiser Chiefs song). In many ways, because it was attempting to analyse a genuinely popular phenomenon, Simon’s defence of Arctic Monkeys was more genuinely popist than all of the popist screeds on Paris Hilton’s barely-bought LP – but of course much of the impulse behind them was the ultra-rockist desire to be seen thumbing one’s nose at critical consensus. Witness the genuinely pathetic – it certainly provokes pathos in me – attempt to whip up controversy about the workmanlike plod of Kelly Clarkson, on a blog which, in its combination of hysterical overheating and dreary earnestness, is as boring as it is symptomatic – though, I have to confess I have never managed to get to the end of a single post, a problem I have with a great many ‘popist’ writings, including the magnum opus of popism, Morley’s Words and Music. 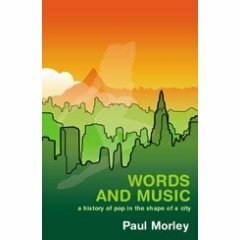 Much as he occasionally flails and rails against popist commonplaces (see, for instance, his recent – I would argue unwarranted – attack on Girls Aloud), Morley is as deeply integrated into Deflationary Hedonic Relativist commonsense as Penman is excluded from it. What was the strangely affectless Words and Music if not a description of the OedIpod from inside? All those friction-free freeways, those inconsequent consumer options standing in for existential choices... Yet Morley is still a theorist of the ends of History and of Music, still too obviously in love with intelligence to be fully plugged into the anti-theoretical OedIpod circuitry. Even so, Ian’s silence speaks far louder than Morley’s chatter, and, after my very few dealings with Old Media, I’m increasingly seeing Ian’s withdrawal, not as a tragic failure, but as a noble retreat. All of UK culture tends to the condition of the clip show, in which talking heads – including, of course, Morley - are paid to say what dimwit posh producers have decided that the audience already thinks over footage of what everyone has already seen. I recently had dealings with an apparatchik of Very Old Media. What you get from representatives of VOM is always the same litany of requirements: writing must be ‘light’, ‘upbeat’ and ‘irreverent’. This last word is perhaps the key one, since it indicates that the sustaining fantasy to which the young agents of Very Old Media are subject is exactly the same as the one in which popists indulge: that they are refusing to show ‘reverence’ to some stuffy censorious big Other. But where, in the dreary-bright, dressed-down sarky snarky arcades of postmodern culture, is this ‘reverence’? What is the postmodern big Other if it is not this ‘irreverence’ itself? (Only people who have not been in a university humanities dept for a quarter-of-century – i.e. not at all your bogstandard Oxbdridge grad Meeja employee/ leisure-time popist – could really believe that there is some ruthlessly-policed high culture canon. When Harold Bloom wrote The Western Canon is what as a challenge to the relativism that is hegemonically dominant in English Studies.) I’ve quickly learned that ‘light’, ‘upbeat’ and ‘irreverent’ are all codes for ‘thoughtless’ and ‘mundanist’. Confronted with these values and their representatives – who, as you would expect, are much posher than me - I often encounter a cognitive dissonance, or rather a dissonance between affect and cognition. Faced with the Thick Posh People who staff so much of the media, I feel inferiority – their accents and even their names are enough to induce such feelings – but think that they must be wrong. It is this kind of dissonance that can produce serious mental illness; or – if the conditions are right – rage. Anti-intellectualism is a ruling class reflex, whereby ruling class stupidity is attributed to the masses (I think we’ve discussed here before the ruse of the Thick Posh Person whereby make a show of pretending to be thick in order to conceal that they are, in fact, thick.) It’s scarcely surprising that inherited privilege tends to produce stupidity, since, if you do not need intelligence, why would you take the trouble to acquire it? Media dumbing down is the most banal kind of self-fulfilling prophecy. As Simon Frith and Jon Savage long ago noted in their NLR essay, ‘The Intellectuals and the Mass Media’, which Owen recently brought to my attention again, the plain common-man pose of the typical public school and Oxbridge-educated media commentator) trades on the assumption that these commentators are far more in touch with ‘reality’ than anyone involved in Theory. The implicit opposition is between Media (as transparent window-on-the-world transmitter of good, solid commonsense) and Education (as out-of-touch disseminator of useless, elitist arcanery). Once, Media was a contested ground, in which the impulse to educate was in tension with the injunction to entertain. Now – and the indispensable Lawrence Miles is incisive on this, as on so many other things, in his latest compendium of insights – Old Media is almost totally given over to a vapid notion of Entertainment – and so, increasingly, is education. In my teenage years, I certainly benefited far more from reading Morley and Penman and their progeny than from the middlebrow dreariness of much of my formal education. It’s because of them, and later Simon and Kodwo et al, that I became interested in Theory and bothered to pursue it in postgraduate study. It is essential to note that Morley and Penman were not just an ‘application’ of High Theory to Low Culture; the hierarchical structure was scrambled, not just inverted, and the use of Theory in this context was as much a challenge to the middle class assumptions of Continental Philosophy as it was to the anti-theoretical empiricism of mainstream British popular culture. But now that teaching is itself being pressed into becoming a service industry (delivering measurable outputs in the form of exam results) and teachers are required to be both child minders and entertainers, those working in the education system who still want to induce students into the complicated enjoyments that can be derived from going beyond the pleasure principle, from encountering something difficult, something that runs counter to one’s received assumptions, find themselves in an embattled minority. 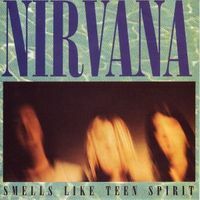 Here we are now entertain us. The credos of ruling class anti-intellectualism that most Old Media professionals are forced to internalise are fare more effective than the Stasi ever was in generating a popular culture that is unprecedently monotonous . Put it this way: a situation in which Lawrence Miles languishes, at the limits of mental health, barely able to leave his house, while the likes of Rod Liddle swagger around the mediascape is not only aesthetically abhorrent, it is fundamentally unjust. Contrary to the ‘it’s only hedonic stim’ deflationary move that both Stekelmanites and Popists share, popular culture remains immensely important, even if it only serves an essential ideological function as the background noise of a capitalist realism which naturalises environmental depredation, mental health plague and sclerotic social conditions in which mobility between classes is lessening towards zero.